Today, in all corners of the world, sushi is a familiar and much-enjoyed staple of the culinary landscape. People in cities around the world crave this Japanese specialty as seen by the rising abundance of Japanese sushi bars and restaurants everywhere you travel. Before diving into your next California roll, consider the storied history of sushi and how its journey has shaped and changed this versatile delicacy across centuries and continents. What’s identified today as the first type of sushi—called narezushi— was quite different from what we know today. 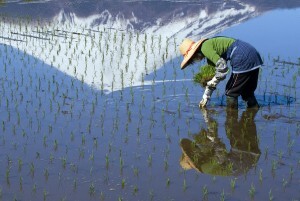 During rainy seasons in Japan and southern China as early as 5th century B.C., lakes would flood fish into rice fields. People would preserve this excess fish by pickling it, stuffing it with rice, and preserved for nearly a year. 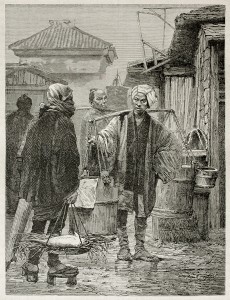 When taken out of storage, the rice would often be discarded before the fish was served. While this tradition faded in China, it only grew in popularity in Japan. This dish became easier to prepare in 13th century Japan when the vinegar industry exploded. As a result, people became accustomed to sour tastes in their food. They began to consume the sour-tasting rice that accompanied the preserved fish in what would evolve into the current type of sushi—han-nare—that only needed one month’s fermentation. Over the following centuries, the sushi-making process shrunk to a period of days and hours. People no longer waited for a naturally developing lactic acid on the rice, and instead added vinegar to mimic the historically tart taste. This next type of sushi, haya-nare, would involve packing layers of rice and fish into wooden boxes and adding region-specific specialty flavors and ingredients. The next stage of sushi’s evolution would take place in Japan’s largest urban center, Tokyo. In the early 19th century, traveling food stalls became popular throughout the city for the same reasons that food trucks are popular today, offering easy accessibility to city workers during breaks and transit. These food stalls helped popularize what’s known today as nigiri—mounds of rice with slices of fish draped over the top. Twentieth century refrigeration revolutionized the sushi scene even further—it made preservation and production significantly easier. As Japanese migrants spread throughout the world, so did their culture and culinary impact. People from the United States, Great Britain, and Australia encountered sushi and would later prioritize and popularize it in different ways. The image most commonly associated with sushi is the roll, or makizushi. 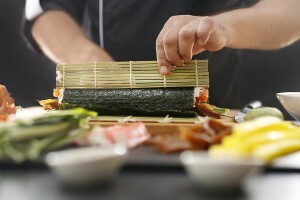 This type of sushi is formed by a bamboo mat into a cylindrical shape; it usually features nori (seaweed) on the outside and a variety of ingredients on the inside. The California Roll, one of the West’s most popular, was invented in Los Angeles and is made of crab (or imitation crab), cucumber, and avocado .Many of the historic types of sushi mentioned above are still available in certain regions of Japan. Nowadays, sushi comes in all shapes, sizes, and flavors depending on where you order it. 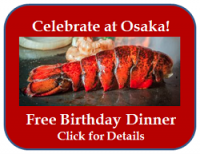 With such a wide selection available, and lots of local and chef creativity, a sushi outing a fun experience for all. Diners enjoy watching the carefully trained sushi chefs prepare the dish right at the counter. It is a fresh, healthy meal that will satisfy any diner. 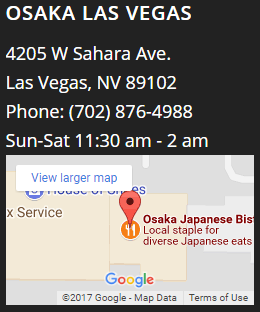 Osaka Japanese Bistro has been serving top quality Japanese sushi in Las Vegas for almost 50 years. Our sushi menu, designed by the former National Sushi Competition Adjudicator in Japan, chef Shingo Aihara is prepared by a trained all-Japanese crew. 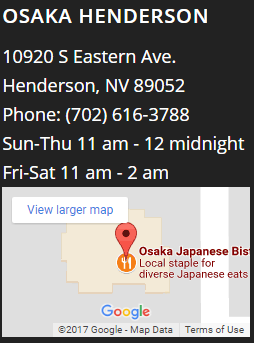 When you visit Osaka Japanese Bistro in Las Vegas or Henderson for your next platter of sushi, explore some of the wonderful flavors and forms of sushi that we offer. 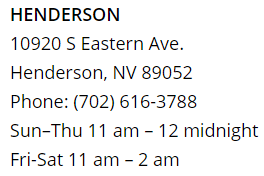 if you have any questions about our sushi menu, feel free to ask your server.